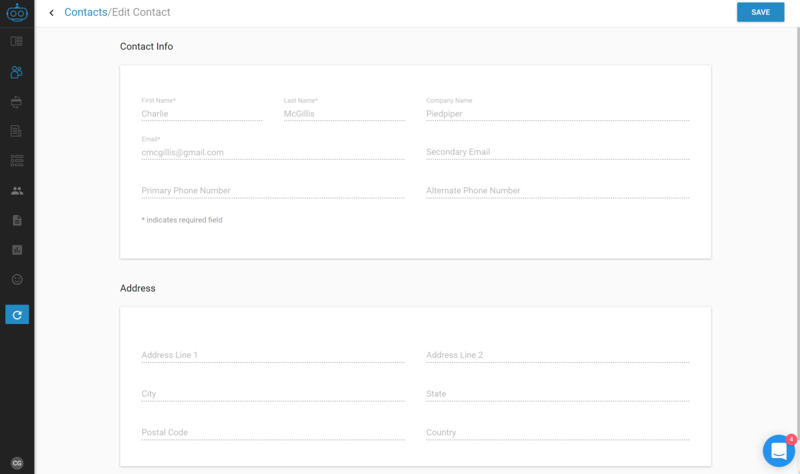 By design, when you've connected your Armatic account to an accounting or ERP system you will not be able to edit customer contact information in Armatic. This is intended to keep your accounting/ERP system as the source of truth. Changes made to customers in your accounting system will be reflected in Armatic after the next synchronization. To Initiate a sync right away select the "Sync" button in the left navigation. Depending on which system you're connected with (specifically Quickbooks, Xero and perhaps others) this setting could be overridden to allow contacts to be edited in Armatic. Please reach out to our support team via chat or email at support@armatic.com to request more information.